Nevada High Desert Outfitters specializes in hunting trophy animals in North Eastern Nevada. Rocky Mountain Goats, Desert, Rocky and California Bighorn, Mule Deer, Antelope and Elk are some of the animals we hunt. Our master guide and Owner Mitch Buzzetti has hunted and lived in the area his whole life. 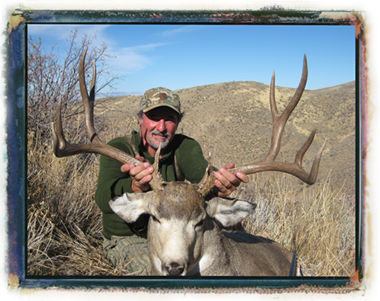 He has been hunting the Ruby Mountains since he was 12 years old and has taken some excellent mule deer. I went on a 4 day hunt with Mitch and saw some awesome muleys. Mitch knows where the big ones are and put me right on them. This was one of the greatest hunts I have experienced, cant wait to go back.